On April 28, labor unions across the U.S. will gather to remember those workers who have died on the job, recognize the families and communities who have lost loved ones on the job and recommit to safer and healthier workplaces for all workers. 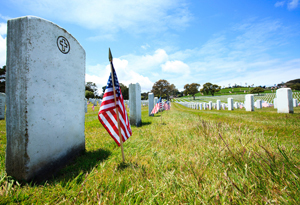 In Pennsylvania, Workers’ Memorial Day events will take place from Philadelphia to Pittsburgh and Pittston. The events will remember lives lost, but also call for defending workers’ rights to safety. Coatesville: 8 a.m. April 28 at National Iron and Steel Museum, 50 S. First Ave. In 2014, the most recent year with data available, nearly 4,700 workers were killed on the job by traumatic injuries in the U.S. and an estimated 50,000 to 60,000 workers died from occupational diseases in the U.S., according to AFL-CIO. More than 3 million injuries and illnesses were reported in private-sector workplaces across the U.S. An additional 722,300 injuries and illnesses were reported among state and local public employees. These numbers are simply too high, with some groups of workers facing a much greater risk of injury and death than others. As we mark Workers’ Memorial Day, we urge Pennsylvanians to educate themselves on current working conditions. The agriculture, forestry, fishing and hunting industries face a substantially increased fatality rate to any other industry. Agriculture, forestry, fishing and hunting has a 24.9 fatality rate per 100,000 workers, compared to mining, quarrying, and oil and gas extraction, which has a 14.1 fatality rate per 100,000 workers. As oil and gas production increases, so do the number of fatalities. The year 2014 saw 142 deaths in the oil and gas industry versus 112 in 2013. The number is expected to have risen in 2015. Latino workers are at a higher risk of job-related deaths at 9 percent greater than the national fatality rate. This is largely due to the fact that Latino workers are more often in dangerous industries and subject to employer exploitation. Workers 65 and older have three times the risk of dying on the job than the overall work population. In 2014, 35 percent of all fatalities occurred in workers aged 55 and older. Women experience nearly twice as many workplace violence events as men. Nearly 8 million state and local public employees lack OSHA protection. The injury and illness rate for state and local public employees is 56 percent higher than the injury and illness rate for private-sector workers. If you’ve experienced a workplace injury or have lost a loved one on the job, contact KBG Injury Law. We’re here 24/7 to get the Results You Deserve®.